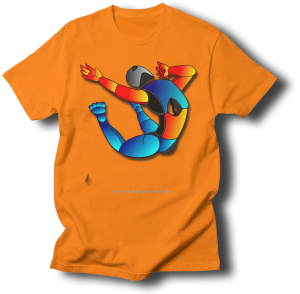 Please visit our new store where you can buy beautiful t-shirt art by clicking here. All of the outstanding artworks were created by our Student National Mentors and Student National Fellows in grades ranging from 7th to high school and beyond. Your purchase will help fund our free Student National Mentor and Student National Fellow Program. Some of our students have been in the programs for over 10 years! You can read all about the programs here. Members get to attend all of our Cyber Jams, work in our Cyber Studios, and receive letters of recommendation for free, and they get paid for their works via our Youth Digital Arts Patron Program. That’s almost $2,000 per year for every member but the real value is in our community and how we all inspire and learn from each other. You can read comments from one of our California High School Freshman Student National Mentors, Max, by clicking here. Please help us grow amazing young digital artists from your communities by proudly wearing their works of art. Please also email us photos and we may post them in our Blog.